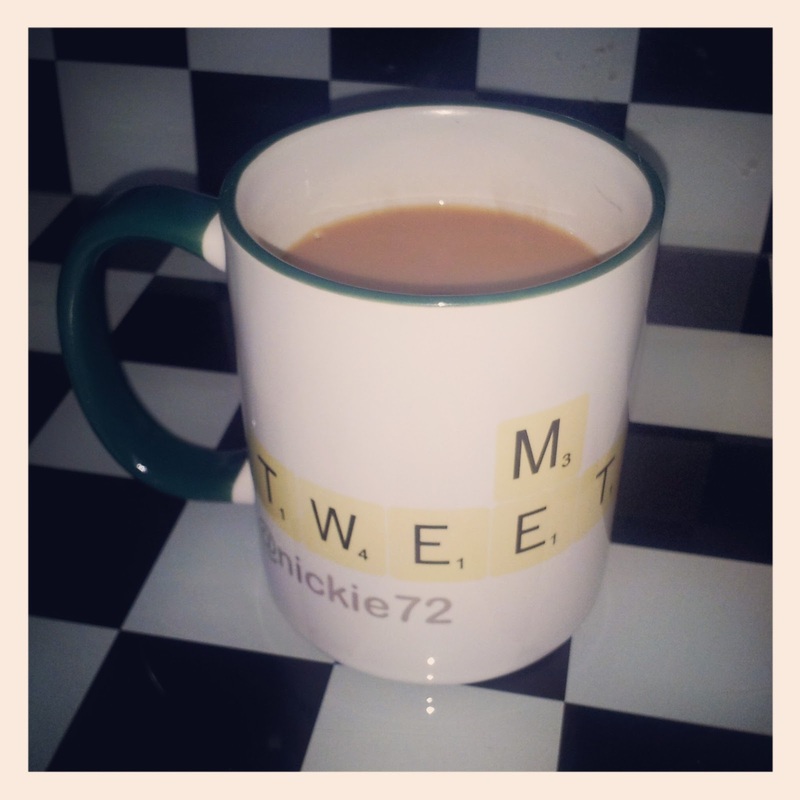 I love a good cuppa but The Perfect Brew is a very individual thing, isn't it? A few weeks ago, Tara shared her brew making method and I agreed with her up to the addition of sugar; she was aghast at my "need for three". Our tea tray at work is a smorgasbord of delights as we all have different tastes. You can pick from your regular tea, green tea, Earl Grey with vanilla (lovely smell, no taste), decaffeinated tea (what's the point?) 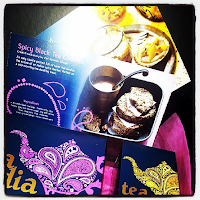 and a range of flavoured teas (usually about three or four on the go). There is also a small jar of coffee and sachets to make cappuccino. 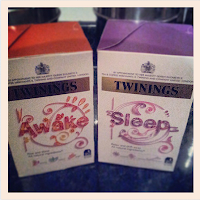 It's interesting to find out what certain flavours are meant to achieve so the Twinings "Awake" (with ginseng, rooibos and ginger) and "Sleep" (with camomile, lavender and vanilla) teas caught my attention simply because I struggle to sleep a lot and need a good burst of energy in the mornings. Teas like these are a quick fix in the mornings; no faffing around - just pour on the boiling water, wait a couple minutes for the tea to brew and drink. Also, I am a great believer in psychology so if I am consciously thinking about winding down whilst sipping my last brew of the day I feel it helps to achieve the ultimate goal. I never used to be adventurous with tea until a couple of years ago when I was sent an array of teas to try. Apparently you can do way more with tea than just drink it! Who knew? So today I've been trying out this recipe sent to me by Tea India using their black tea. It's really easy to make and the biscuits smell amazing when cooking! The biscuits are very much like breakfast bars but solid enough to dunk in your cuppa. I can't drink fruit/herbal teas all the time but I am giving myself a pat on the back for choosing naturally sweet ones so that I don't have to add sugar to them (I sometimes chuck a sweetener in there though because 'real' sugar tastes too sweet - odd but true). I have to admit that I'm so fussy about how my tea is made that I drink coffee when out and about but I never really enjoy it. 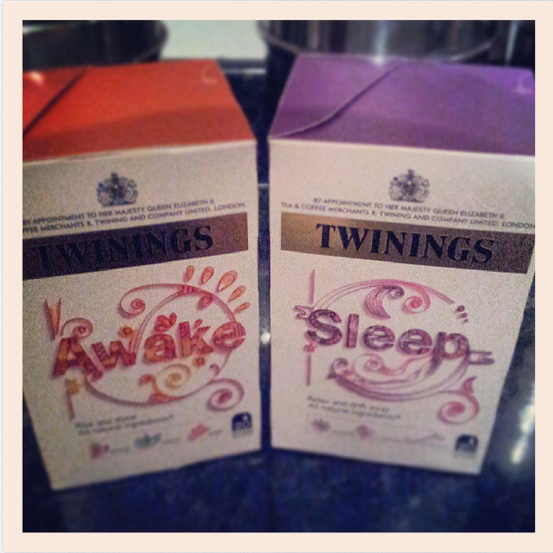 Are you a tea or a coffee drinker? How do you like your brew?